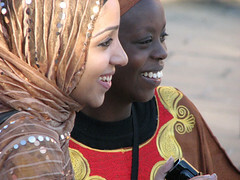 Global Voices , the international citizen media network, will be holding the Global Voices Citizen Media Summit 2012  in Nairobi on July 2-3, 2012. Bloggers, techies and activists from over 60 countries will participate in the event, which will take place at the PrideInn Raphta Road in Westlands. For details on the Global Voices Citizen Media Summit 2012 visit https://summit2012.globalvoicesonline.org/ .